How qualified is someone who thinks Sigur Ros is too “main stream” to review the new U2 record? What about someone who’s criticism is really a thinly veiled plea for U2 to go back to The Joshua Tree? We live in a musically fragmented society. There have always been different forms of musical expression and it’s (possibly) been over a 1,000 years since western culture was truly monolithic in it’s musical tastes. But more than ever we are isolated and divided by our musical tastes rather than united by them. Music is an individual experience now more than a communal one. What does this tell us as worship leaders? Here’s the honest truth. If you’re a worship leader, there’s a really good chance you love music. The problem is that you may not love the music your church does. It’s possible that what you want isn’t what the people want or need. Maybe you’re a younger worship leader who’s musical taste are too far out there for the mainstream of your church. Maybe you’re an older reason who doesn’t understand why things need to change when in your mind they’re “fine the way they are”. I really like that U2 didn’t make another Joshua Tree or Actung Baby. They’ve done that. If you’re a worship leader still trying to recreate Sonic Flood, it’s time to move on. I also really like that U2 made a U2 record. Bono didn’t rap, they didn’t do Jazz Odyssey (Let him who has ears turn their amp to 11). Every song was a U2 song. If you’re the worship leader who’s trying to do something that’s not your church it’s time to take a step back. 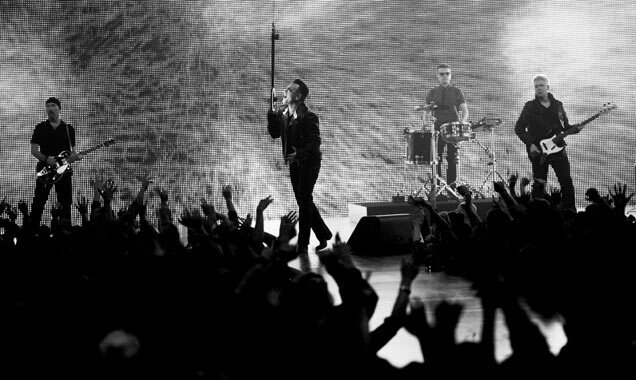 No matter what the critics say, people like U2. People like Coldplay. People also like Chris Tomlin. But they don’t have to like every song or every record to check out the next one or to buy tickets to a concert. You don’t have to be ground breaking or “epic” every Sunday, just consistent and the people will respond. Maybe you didn’t hit a home run with last week’s set list, but that doesn’t mean that people won’t want to engage next Sunday. Songs of Innocence is not U2’s best record, but I doubt that their concerts won’t sell out because of it. I’m also pretty sure that the next U2 record will be met with a high level of excitement. One of the big complaints was that the record was “forced” on people. That’s actually not true. My computer didn’t download the record automatically (unless you’ve set your computer up to do so). The record became available for anyone to download and it’s now on our iCloud, but that’s it. Another criticism was that “giving it away” devalued the music. You’re nuts if you think U2, their management, and their record company didn’t charge Apple a nice sum of $$$ for them to release Songs of Innocence as part of a promotional campaign along with their new iPhone and iOS. These criticism came from a misunderstanding of the delivery method: the technology, the process, and the philosophy behind it. The same is true in the church. I was talking to someone yesterday who had a lot of criticism of multi-site churches (I share some of his concerns) but who had never attended a multi-site church or done any real research into the history or reasons behind it. The result was that much if not most of his criticism was inaccurate or incorrect. Someone in your church may be like my friend. They don’t like some method of how you and your band lead worship, but have no real idea about why. We need to be teachers as much as a leaders and use moments of criticism to address and correct the misconceptions that run wild in our churches today. This means that we need to be educated about these things ourselves and have our answers ready. Regarding the record itself, I’ve already said that I don’t think it’s their best, but it grows on me more and more every time I listen to it. The opposite was true of their last record which I enjoyed less and less each listen. It’s a solid record with some very thoughtful lyrics and musically it’s up there with many of U2’s early works. Basically, it’s not as good as Joshua Tree, All That You Can’t Leave Behind, The Unforgettable Fire or How to Dismantle an Atomic Bomb (my favorite U2 Record.) It is better than No Line on the Horizon or Pop and I suspect that like Pop, many of the songs that make it to the stage will be better live than recorded. There’s the constant accusation that modern church music is just a rip off of U2 and the Edge specifically. I’ve address that before in previous posts (see some of that HERE). I will say that this record is some of The Edge’s more interesting delay work in a while, and if you want to know how use Fuzz in a worship setting, this record might just give you a template. Lyrically I enjoyed them going to new places in a way that wouldn’t throw people off and address old familiar subjects in a fresh and new way. I really liked that there was a song called “The Troubles” the wasn’t about The Troubles. Overall, this record feels urgent and uncluttered, and you could do a lot worse, especially from a band that’s been at the top of music for the last 30 years. The question for worship leaders who hear Song of Innocence is this: can you say the same about yourself? Or have you lost the urgency and allowed your worship leading to become cluttered both musically and metaphorically? Like I said, in the end, the response and reviews to this record have told me more about the people than the music. What does your response say about you?